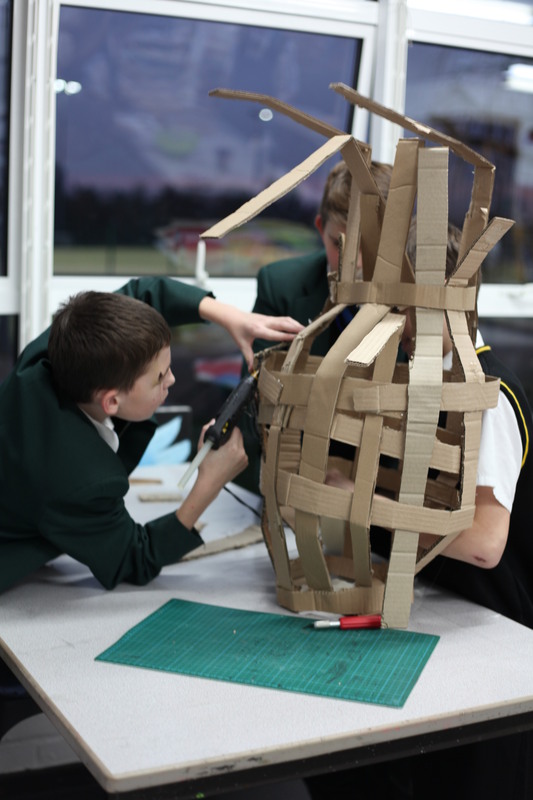 To mark the WW1 Centenary, MK Gallery has been working with four local secondary schools – MK Academy, The Hazeley Academy, Oakgrove School and Lord Grey School. Since November 2014 MK Gallery artists Teresa Paiva and Alicja Rogalska have been working with Key Stage 3 pupils from each school to explore how artists have used the visual arts to depict and interpret military conflict. The students have taken part in practical workshops, explored the art and ideas produced by a range of artists and have been on research trips to the Imperial War Museum in London. The students have been encouraged and supported by artists Teresa and Alicja to explore and present their ideas in a wide range of media from sculpture and painting to photography and film. The project culminates in a month-long exhibition of original work at MK Gallery’s Project Space from 5 – 28 June 2015. Their responses to the theme have been wide and varied and this promises to be a thought provoking exhibition. Pupils have also had the opportunity to achieve their Bronze level Arts Award through the project. Arts Award inspires young people to grow their arts and leadership talents, through Arts Award young people gain a nationally recognised qualification which is accredited on the Qualifications and Credit Framework (QCF).